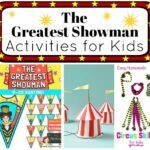 Looking for Easter game and activities? Ok. So this isn’t quite the White House Easter Egg Roll!!! But I promise you, you can have just as much fun as old the folkes at the White House this Easter (if not more fun!! 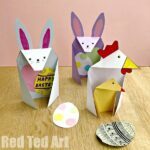 As our Easter Sunday Game is creative and FUN oh and easy too of course). Join us for Easter Egg Roll Activity – a quick craft and Easter game for the whole family to enjoy on Easter Sunday! We do love a cracking (get it?) Family Easter Game or two! 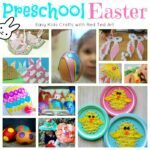 This Family Easter Game tradition was shared in 2017 – republished for your convenience! We LOVE Easter. For us Easter is about family time, as well as some little family traditions. 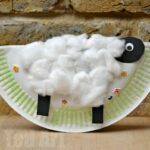 You don’t have to do LOTS to make Easter fun. 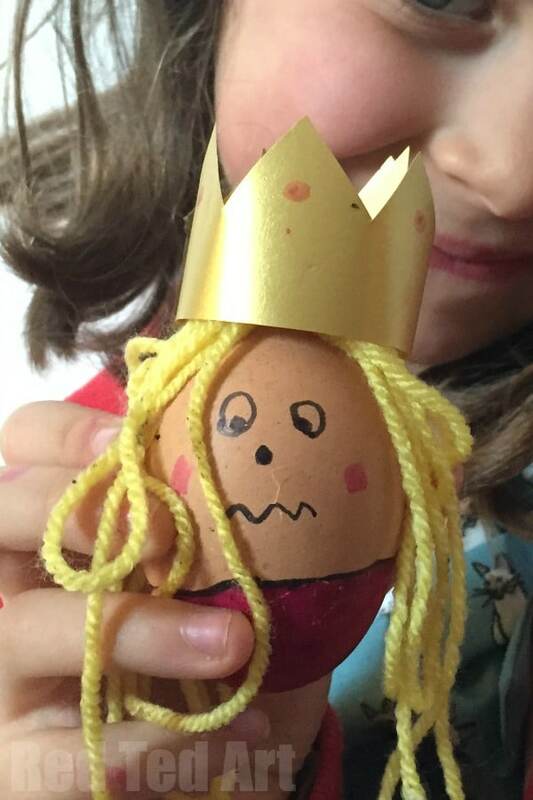 We all know much work Christmas (and Thanksgiving for my Nothern American friends) are, so I like to keep Easter Activities for kids simple, but still fun. 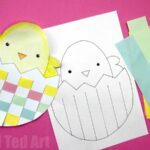 Through the Spring season of course, we love to make lots of Spring Crafts for Kids (do check out our specific list of Spring Crafts for Preschoolers), but Easter itself is a relax affair. Sometimes I bake and Easter cake.. sometimes I don’t. 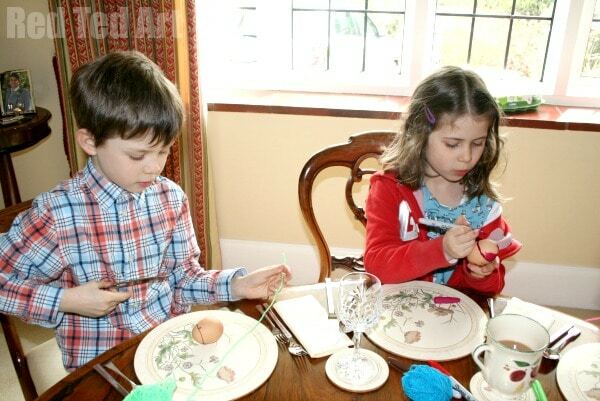 We also visit Granny and Grandpa at Easter and the kids always have a chocolate egg hunt…. then last year, we introduced a new family tradition: The Easter Egg Roll Activity!! I am sure many of you are family with the Great Egg Roll tradition… but the tradition tends to vary across the country and communities (*cough* especially the great White House Egg Roll!!!). 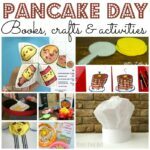 Usually this is indeed a COMMUNITY event.. but have decided to create our own (and once again keep things simple). The bit I like best, is that you can involve the WHOLE family from toddlers to Grandpa!! 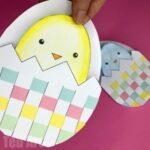 Everyone is included and anyone can win this easy Family Easter Game! SO… what is it and how to do you play? 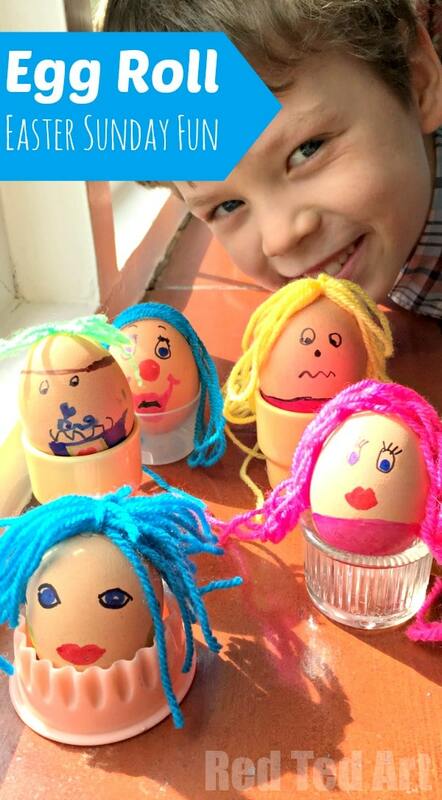 First let the whole family turn your hard boiled eggs into “characters”. Of course you can decorate them whatever way you wish. Scribbles, stickers, animals.. in our case we went for wacky faces. We made sure that EVERYONE joined in – from the kids, to uncle, auntie, granny and grandpa! Make this as simple or complicated as you wish. A hot glue gun is helpful for quick and easy hair accessories. You can even print off some Bunny Ears and Pirate Hats over at Picklebums! And they are OFF. The Downhill Egg Roll Race begins. Ok. So ideally you need a hill for this. Lucky for us, Granny and Grandpa LIVE On a hill. If you don’t fear not.. we have an alternative. Bit first to the hill. The hole family needs to line up with their eggs. The on the word go, let them roll down the hill. 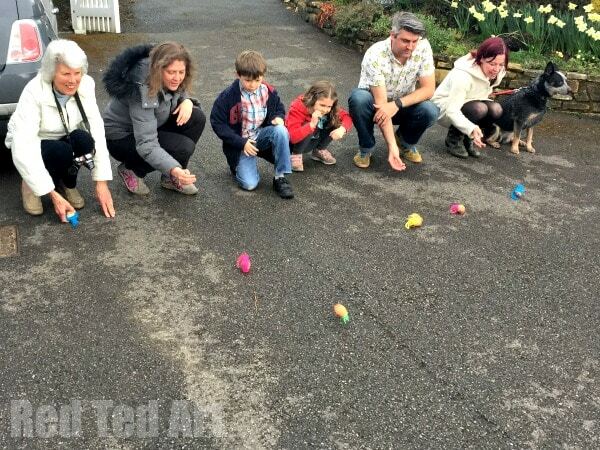 The Egg Roll Part 2 – Who are the Egg Rolling Game “Winners”? 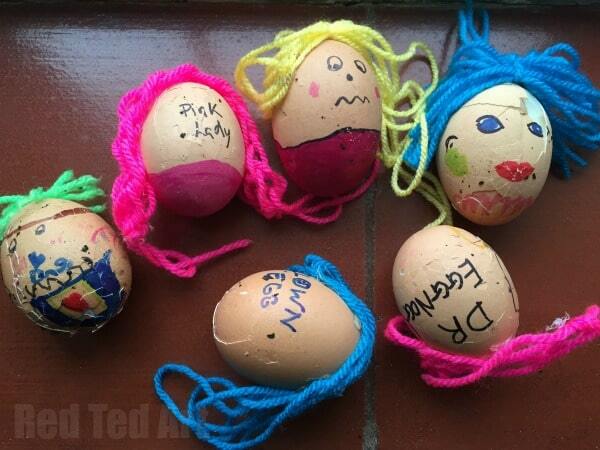 Our eggs after the Great Egg Roll Downhill Race! The best Family Easter Game. You can have two types of Easter Egg Roll Game winners – one is the egg that has gone the furthers (curved lines don’t count.. it has to be furthest down the hill). This is relatively easy to determine, as it is a physical distance. However you can easily cheat and just literally throw your egg as far as you can. The second way to win – is which egg remains intact the most. Needless to say this is subjective.. and some squabbling may ensue. So you must make sure an independent judge has been nominated. Our least broken egg winner! 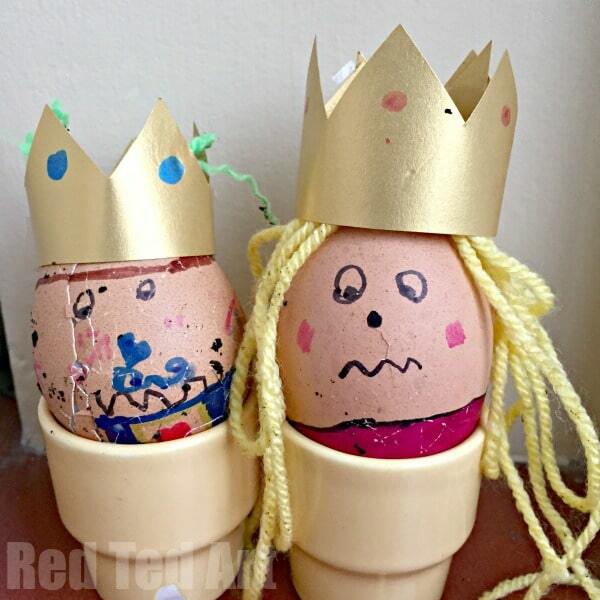 Needless to say, this is just a little “extra”.. we love to crown our winning eggs with tiny paper crowns. Our furthest down the hill Egg Roll winner! Needless to say this is not strictly necessary, but adds to the fun and annual Easter photo opportunity! Well. 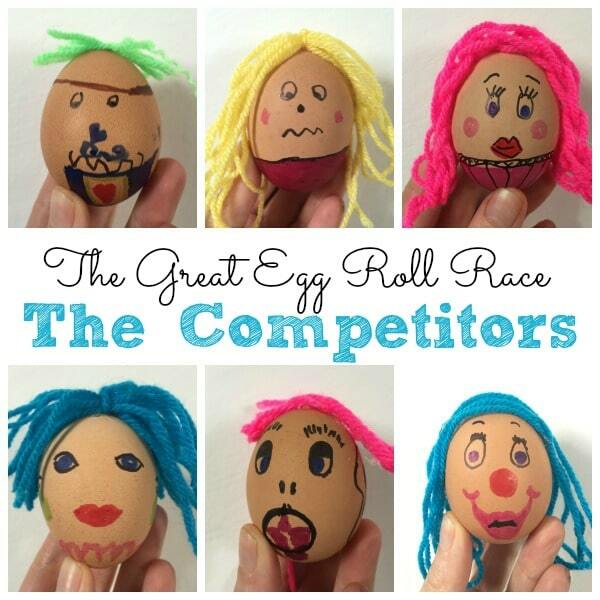 I hope you enjoyed this Family Easter Game post.. and that you two will have an Egg Roll Downhill Race just like the White House (but hopefully even more fun!!). And if not downhill.. that you improvise with wooden spoons or newspaper “bats”. ENJOY and have fun!!!! What a fun idea! My kids would love this! This such a wonderful ideas. 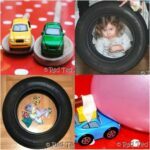 Thanks for sharing with us the activity tips. Happy Easter in advance!